We are open from 12:30 to 9pm Tuesday, Wednesday, Thursday, Friday, Saturday & Sunday. Including Bank holiday Mondays. The Hound is a warm, inviting, ‘one-size-fits-all’ place to eat. We are open from 12:30 to 9pm Tuesday, Thursday, Friday, Saturday & Sunday. Including Bank holiday Mondays. with a new menu which includes soups, sharing platters, salads and an extensive main course menu to suit all tastes. It’s welcoming, it’s informal, it’s child friendly and it’s good value – above all, it has commanding views of the Jack Nicklaus Golf Course that will take your breath away. 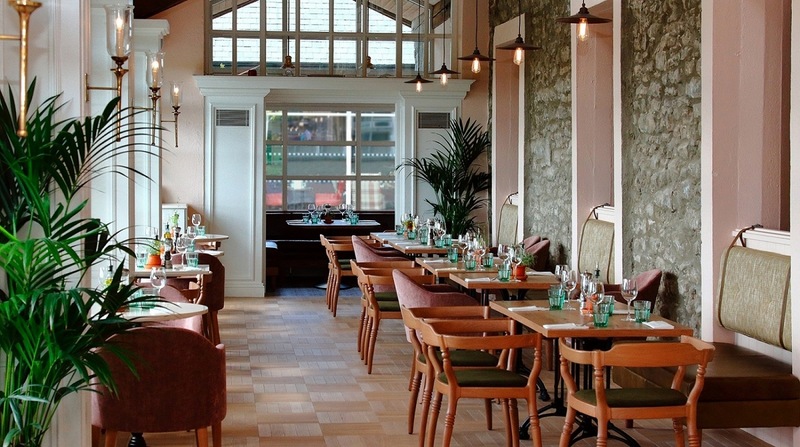 The Restaurant at Hunters Yard is a proud member of Good Food Ireland and Executive Chef Ken Harker shares the philosophy of prioritizing the core indigenous ingredients of Irish cuisine supporting Irish farmers, food producers and fishermen. Service was great. Service staff were all friendly and brilliant  at their jobs. The food was the let down. Very average breakfast and lunch. Not worth €10.50 for a mini breakfast nor €15 for a burger and chips. Thoroughly enjoyed our meal & service was A1. Spent a fabulous night in Mount Juliet, great place with amazing surroundings and atmosphere. Food in Hound restaurant only average and service not five star but still very enjoyable. Would definitely recommend Mount Juliet Estate to anyone for a very relaxing break away. The food was well presented and the portion sizes were adequate. After having our starters the main course arrived soon after, but there was no cutlery on the table. And we had to ask for it. Thought the wine was a little overpriced. Excellent hotel with fabulous staff service and friendliness! Will definitely be back again. We had eaten in the Lady Helen dining room at the Manor house the previous evening and unfortunately it was far superior to the Hound restaurant. The food was lovely, but funnily enough I would say the main course came out too quickly after the starters, not something I would often complain about!! Our initial drinks orders did not arrive until after our starters which was a bit disappointing, but was a symptom of the fact the serving staff were over stretched. Had a wonderful evening with a friend - not rushed, food was very tasty and atmosphere lovely. Would definitely go back! I would like to see a little more choice on the menu, (maybe some chicken or lamb dishes?). We ate here for 2 nights and found the menu a bit limited. I certainly can't fault the quality of the food or the wonderful service. Really enjoyed our dining experience at the Hound. Excellent Mt. Juliet experience as always. Many thanks to AnnMarie and her staff for making us feel so welcome again. Mix up between waiting staff and kitchen staff regarding my starter. Sorted within 5 minutes. Had a thoroughly enjoyable stay in Hunters Lodge and a fabulous evening dinner in The Hound. I would highly recommend both and will definitely revisit in the near future. Staff were so welcoming, everything was delicious, we couldn't fault anything! Was really pleased with our evening in the Hound restaurant. We were promptly greeted seated and our drinks arrived very quickly too. Our meal was made up of plates of seasonal, contemporary high quality produce. It was pure pleasure to enjoy a relaxed meal looking out at the stunning views of the golf course. We will definitely be back. 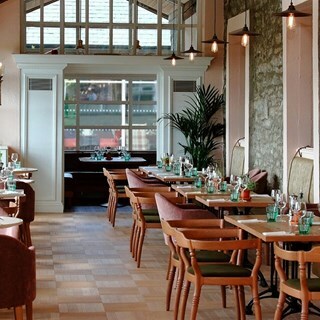 Enjoyed our 3 evenings in the Hound immensely for atmosphere, quality cuisine and service. The trout dish was particularly memorable.